The temperature and humidity data logger is easy to use and is very versatile. You can connect different sensors to the temperature and humidity data logger. With the temperature and humidity data logger you can accurately measure and record humidity and temperature anywhere. You can connect the precision temperature and humidity data logger to a computer via the RS-232. The WinLog software allows programming and data reading. 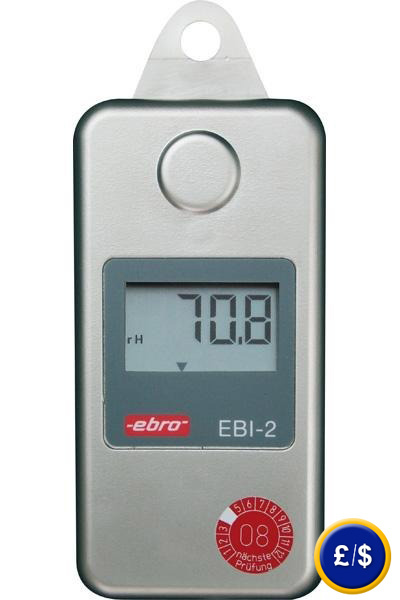 If you have any questions about the multi-channel temperature and humidity data logger, see the technical data below or contact us: UK customers +44(0) 23 809 870 30 / US customers +1-410-387-7703. Our technicians and engineers will be happy to advise you on the temperature and humidity data logger and on any product of our systems of regulation and control, meters or scales and balances. 0 ... 100 % R.H..